In the world of game design, ambition comes at a cost, and there are few sequels looking more ambitious than Frozen Synapse 2, taking the small-scale, play-by-email style tactical skirmishes of the original and expanding them to a city-wide game of cyberpunk conquest, diplomacy and backstabbing. The good news is that every bit of developer Mode 7’s ambition seems to be paying out in spades, as you can see in fifteen minutes of exciting new gameplay footage within. On the other hand, the cost is that the game has (not too surprisingly) slipped to next year. Don’t lament, tactics fans. 2017 has been very kind to us indeed, as you can see in our list of the best strategy games out now. The focus of the new gameplay footage is the overall campaign structure of the game, showing off the Incursion event system, and how it’ll funnel the various factions around the procedural generated city-scape and into conflict with each other. A key point of contention between the factions is control over mysterious cyber-relics, allowing each faction to carry out special actions, such as hack banks for a solid boost of income.. While not the central focus of the video, some tactical combat is shown. Owing to the strategic layer of the game, there’s a lot more variance in the kinds of forces that can clash than in the balanced-for-competition original. Sometimes, you’ll just have a single grunt with an assault rifle up against an entire enemy squad. Death is almost certainly assured, but with careful management you can at least deal some damage to the enemy force. Even if the enemy technically wins, you can make their victory pyrrhic, and overconfidence can lead to massive losses. As in the original Frozen Synapse, combat is almost entirely deterministic, with every attack being a one-hit kill, and nothing being left to chance outside of extremely rare situations where two units fire at each other with identical targeting times. Units can and will die quickly, but at least the stat-free nature of the combat means that you won’t feel too bad about losing the occasional faceless vat-grown grunt to a skirmish. 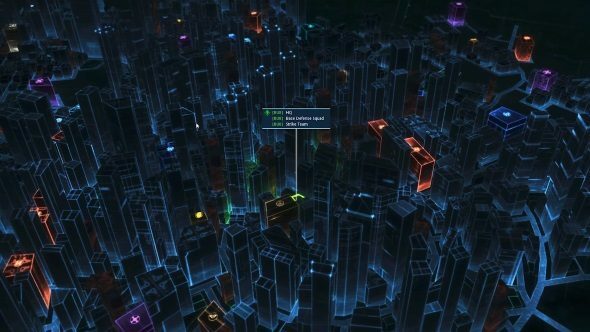 There’s no release date set for Frozen Synapse 2, although judging from the footage we’ve just seen, it’s quite far into development. You can wishlist it on Steam to be informed when it launches, or – of course – stay tuned to PCGamesN.